The Pain Relief Clinic is a medical practice that combines traditional pain management techniques with non-invasive treatment technologies available, to specifically help patients who suffer from both acute and persistent pain. 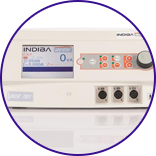 Using a combination of conventional medicine, as well as new technologies such as INDIBA® activ ProRecovery and Shockwave Therapy, we provide effective clinical solutions to pain. By promoting bone, cartilage and soft tissue repair, we offer a number of non-invasive, safe and drug free options, that are effective for patients who still suffer from pain after trying other treatments, or who are not comfortable with the risks and complications of other options. 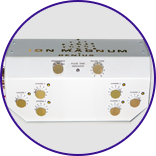 Used internationally as a non-invasive method of treating pain and inflammation using high energy acoustic waves. 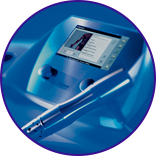 Non-invasive radiofrequency treatment used by leading professional sports teams, hospitals and clinics across Europe and Japan for pain relief. Cleared by the US FDA for Muscle Conditioning under prescription, it offers powerful applications in sports science, rehabilitation medicine and pain therapy. My pain is persistent. I’ve tried gels, painkillers, injections and alternative treatments which did not work. There is no choice except for surgery. My pain is due to wear and tear, age related degeneration. Nothing much can be done, while it gets worse with time. I must just learn to live with it. My pain is due sports injury and exercise causing a muscle, ligament or cartilage tear. The only options are resting, physiotherapy, steroid injections and maybe surgery. Acute pain from recent injuries and other diseases can result in time off work, difficulty with participation in sports, and interfere with other normal day activities. Persistent pain from chronic injuries, wear and tear, nerve pain, and other causes often results in frustration, low energy level, poor sleep (insomnia), irritability, depressed mood, difficulty with concentration and memory, mobility problems and even reduced sexual function. Relationships with friends and family, work, personal happiness and life in general may also be affected. Pain has even been associated with loss of brain mass. By properly treating persistent pain, patients will be able to enjoy work, sports, and life in general more effectively. Sleep will also become more restful, resulting in more energetic days and better moods. More importantly, pain and its underlying cause must be properly treated to prevent it from getting worse, and deteriorating to the point where surgery and other invasive treatments become necessary. If you are unsure of the cause for the aches, pain or stiffness you are suffering from, or if your condition has not improved despite standard treatments and have been told to consider surgery, do not worry.